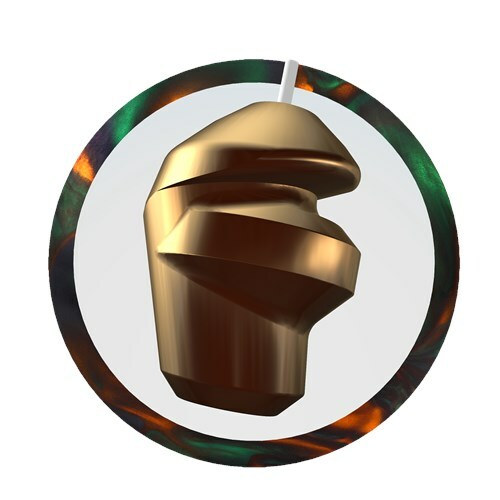 The Ebonite Destiny Solid was designed to give a smooth overall hook on medium oil. The Cyclone Torque core is surrounded by a GB 11.2 Solid coverstock sanded down to a 3000 Grit Abralon Sanding Pad finish to create this reaction. This bowling ball offers a smashing value for your dollar! Similar Balls: Same Hook Potential, Lane Conditions & Coverstock as the Ebonite Destiny Solid Blue/Black. Having a choice between the Destiny Solid, Pearl or the Hybrid, I was looking for a ball that was versatile and would work well on either a fresh pattern or on the burn. I drilled the Destiny Solid pin-down neutral, and for a lower mid-performance bowling ball, this ball certainly fit the bill in its versatility. Simply by changing the coverstock, either by polishing it or leaving it with its out of box surface, this ball is super clean through the front part of the lane and smooth and angular at the breakpoint. For this particular pattern I put on this ball, this has been the best ball that I've used it on! The Destiny line is the best high performance on the market for the price. The Destiny Solid is the most smooth an predictable of the three. The Destiny Pearl is the cleanest down lanes with a strong angular motion thru the pocket and is best on dry to medium lane conditions. The Destiny Hybrid, is in between the first two, reading the mids with a very strong angle of entry thru the pocket. When you need to play deeper angles on the lane, the Hybrid is one. At the price you can get all three and play all conditions. Strong performance at a great price. Destiny's have the cyclone core and have a similar yet enhanced coverstock for more hook. For me, works well on the fresh house patterns when I want to play more of a down and in shot when some of the bigger balls like a choice or a matrix solid would have me cover more boards. Destiny pearl is more length and more of a skid flip shape. Works better if lanes are medium oil, drier, or when the solid starts to get too smooth down lane. This is a Mid performance ball that will have a hook to it. 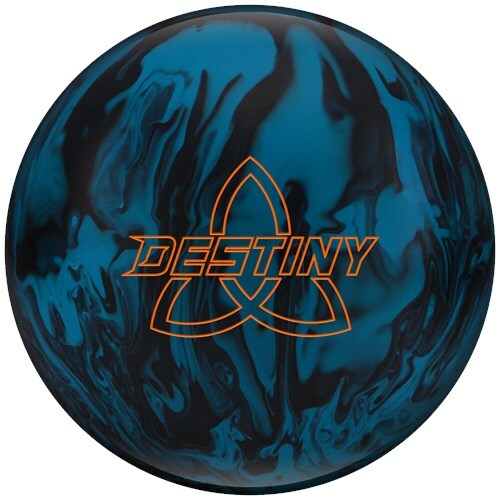 Due to the time it takes to produce the Ebonite Destiny Solid Blue/Black ball it will ship in immediately. We cannot ship this ball outside the United States.